Marketing isn't a sprint; it's a marathon! Marathon Marketing is dedicated to connecting your organization’s message with your audience from the first steps of strategic planning, through program development and tactical execution, to the finish line. ARE YOU OPTIMIZED FOR THE LONG RUN? In business, success rarely comes in the form of sprint. It’s usually a marathon. To complete a marathon it takes training, preparation, planning, organization, research, understanding, commitment, monitoring and measurement. The same can be said for marketing. With Marathon Marketing’s expertise and experience, vision and guidance, your organization will be confidently positioned to realize marketing success…. for the long run! Marathon Marketing is an Atlanta based agency offering a unique combination of marketing and legal skills, business acumen and experiences that help address its clients’ critical business needs and goals. Laurie is results-driven marketing professional known for a unique mix of strategic, operational and management abilities. After a career in law and marketing with some of the world’s leading public companies, Laurie founded Marathon Marketing in 2004 allowing her to bring her unique blend of legal, marketing and business experiences to other companies. Laurie excels at strategy through execution, creating vision with a disciplined understanding of the customer, the problem and the competitive alternatives to hit the sweet spot of the market and drive growth. Laurie is passionate about effective messaging and positioning. Prior to establishing Marathon Marketing, Laurie developed a career as both an attorney and marketing professional working in a variety of capacities including In-house Counsel, Product Manager and Director of Licensing & Marketing. Laurie has managed numerous relationships with brand owners from the fields of entertainment, education, sports, toys and corporate brands including Disney, Warner Bros., DreamWorks, Nickelodeon, Nautica, NASCAR, NFL, Sesame Street and Mattel. She is a member of the Georgia Bar Association, LIMA (Licensing Industry Manufacturers Association), the American Marketing Association, and the National Association of Women Business Owners. In January 2007, Laurie was awarded a Woman of Distinction honor by the Atlanta-based Chick-fil-A Peach Bowl/Russell Athletic Committee. Laurie received a B.B.A in Finance and Real Estate from The University of Texas at Austin and a J.D. degree from Emory University School of Law. We believe marketing isn’t a sprint. It’s a Marathon! By building strong, long-term relationships with our clients, we can help them drive profitable growth. We are smart, creative, honest, dedicated and fun to work with. We are committed to having a positive impact on the lives of others. This applies to the people we know, our co-workers, our clients, our families, our community and our planet. We value our client’s time and resources. We follow a scope, schedule and budget approach to all our efforts and will keep our promises. Happy Tails volunteers share the unconditional love of their pets with people of all ages with physical, social, emotional and cognitive needs at healthcare facilities, social agencies and special needs programs throughout the metro Atlanta community. Laurie and her Rhodesian Ridgeback, Jett, are active participants visiting a variety of facilities. Laurie has also serviced on the Board of Directors. 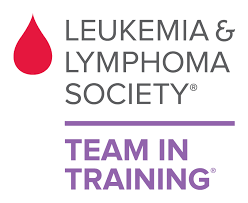 We give our full efforts to the Leukemia & Lymphoma Society’s Team in Training program – the world’s largest endurance sports training program, as a Team in Training Member and Coaching Mentor. To date, our principal, Laurie Berkin, has completed three marathons and seven half-marathons while raising more than $20,000 for leukemia, lymphoma and myeloma research and patient services. Laurie has also provided consulting services to this organization. Laurie is a volunteer with Meals on Wheels Atlanta. The mission of Meals on Wheels Atlanta is to support senior independence through meals, shelter, education and community. Their flagship program is Meal Services which provides nourishing meals to low-income and homebound seniors in Atlanta who are unable to afford or access adequate nutrition.